Last month it was Sam's Club hoping to sign up new members with some freebies on Groupon. Now it's Costco's turn, also on Groupon. Here's the deal. Pay $60 for a Gold Star membership (the regular price), but get four freebies to sweeten the offer. Freebie #2: Three coupons worth about $36, including free Kirkland Signature paper towels ($15 value), free VitaRain Zero Flavored Water ($10 value)and a free Food Court whole pizza ($10 value). Freebie #4: $75 Costco cash card toward Costco travel to the Caribbean, Costa Rica, Europe, Hawaii, Mexico or the South Pacific (cruises excluded). The offer is good only for new members. Prior members had to have canceled before April 1, 2017 or are not eligible. More fine print: You must redeem your voucher for the membership prior to Nov. 1. If the voucher is not redeemed, you receive the amount paid for the voucher. Most of the freebie vouchers expire Jan. 31, 2018, The travel cash card expires Dec. 31, 2017 although travel does not have to be completed by then. Coupons are mailed 4-6 weeks after validation in the store. Costco also offered a membership deal in 2014 in which the freebies included apple pie, rotisserie chicken, bath tissue and 3 months ID theft protection. Costco typically does not have as many membership promotions as Sam's Club. One possible reason why? 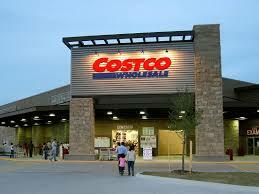 Costco generates almost twice the revenue as Sam's with about 10% more square footage, according to Seeking Alpha. Still, Costco may have lost some members after they raised the membership price $5 on June 1. Here's a tip not everyone knows about Costco or Sam's Club. You can cancel at any time during the membership period and receive a full, not pro-rated refund. Variety Cheerios fanatic? Prices don't get much better than this. Cheerios fanatic? Prices don't get much better than this.